Cleanse Your Body and See Your Health Return. 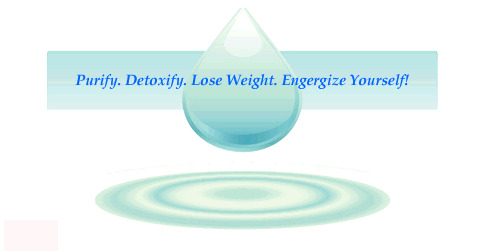 There is plenty of scientific evidence on the health effects of detoxification diets. Studies on various plants and herbs show the positive effects on certain detoxification organ systems. The strongest evidence that supports dietary detoxification programs is related to caloric restriction and fasting. Caloric restriction and fasting are sometimes used in detoxification programs, either separately or together, although fasting is more commonly used. Fasting is the elimination of food and drink (with the exception of water) for a period of time for either therapeutic or religious reasons. Research suggests fasting can lower blood pressure, regulate blood glucose, lower cholesterol and reduce inflammation. Studies have shown, however, that in order to sustain the health benefits of fasting, individuals need to modify their diets over the long term. Following up a fast with a mediterranian style diet has been shown to prolong the fast’s health benefits. Caloric restriction is the practice of reducing calorie intake. Research conducted over the past 70 years has shown that reducing the consumption of dietary calories 30 percent to 40 percent can extend the lifespan up to one third in a number of animal species. It is believed to slow the process of aging and delay the onset of chronic diseases associated with aging. Animal studies have shown that caloric restriction can reduce the incidence of cancer, heart disease, diabetes, osteoporosis, autoimmune disorders and neurological decline. Long-term studies of caloric restriction in nonhuman primates and shorter, more limited studies in humans demonstrated decreased body weight, blood pressure and blood lipids as well as regulated blood sugar. Caloric restriction is also linked to decreased free-radical production, which may help reduce oxidative stress and slow down aging. What you eat is as important, if not more important, than merely eating less. There is a strong link between nutrition and disease. Diets that are high in calories, particularly saturated fats and processed or refined foods, are linked to a higher risk for many chronic diseases. Evidence suggests that high intake of fruits and vegetables, along with limited intake of calories, saturated fats and cholesterol, reduces oxidative stress and may lower the risk of all-cause mortality, cancer and cardiovascular disease. Eating nutrient-rich foods is also important because the chemical compounds in these foods play an important role in supporting your body’s detoxification processes. For example, certain chemicals from cruciferous vegetables like broccoli or brussels sprouts affect the enzyme detoxification functions of your liver. So, detoxification diets that emphasize whole foods – natural, unrefined, unprocessed foods like fruits and vegetables – help to support your body’s detoxification functions and decrease oxidative stress. Integrating more whole foods into your diet after cleansing also may help you sustain the health benefits of your cleanse. Herbal cleansing is the practice of taking herbs while on a detoxification diet to stimulate specific detoxification organs in the body such as the liver, kidneys or intestines. Herbal detoxification sometimes utilizes herbal teas or herbal supplements. Some examples of herbs used in herbal detoxification programs include milk thistle and cayenne to cleanse the liver, juniper berries to cleanse the kidneys, and psyllium husk to cleanse the bowel. Colonic irrigation involves flushing the colon with water to remove toxins. Fasting is the elimination of food and drink (with the exception of water) for a period of time for either therapeutic or religious reasons. Therapeutic fasts are thought to aid the body in eliminating toxins and have been used to treat a whole host of conditions including rheumatoid arthritis, obesity, diabetes, lupus, high blood pressure, cardiovascular disease, psoriasis and asthma. Therapeutic fasts vary in duration and composition. Some allow patients to drink vegetable and/or fruit juices. Caloric restriction, applied in alternative practice, is used by life extensionists (people who seek to extend their lives through various practices). Unlike fasting, caloric restriction is simply the practice of reducing dietary calories. It is intended to prolong life by preventing disease and slowing the process of aging. Fasting and caloric restriction are sometimes used in detoxification programs either separately or together, although fasting is more commonly used. Caloric restriction is often used as a follow-up, long-term dietary intervention after a detoxification program or a fast is complete. The raw-food diet is based on 70 percent to 100 percent uncooked and unprocessed raw foods. These foods mainly consist of fruits, vegetables, sprouted grains, seeds, nuts and beans. It is thought that heating foods destroys the health-promoting enzymes in the foods – enzymes regarded as important for digestion. Hydrotherapy is the use of water for healing. It may involve various kinds of bathing in different temperatures, or the use of steam or ice. Some practices include steam bathing, saunas, aquatic exercising, and colonic or nasal irrigation. Sometimes these practices are combined with aromatherapy. A whole-food diet consists primarily of natural, unrefined, unprocessed foods like fruits, vegetables, whole grains, nuts, seeds, lean meats, fish and dairy. Proponents of whole-food diets say that the foods should be organic whenever possible. Meats, dairy and eggs should also be organic or free range. Examples of diets that emphasize whole foods are the DASH diet and the Mediterranean diet. Juicing is the preparation and consumption of drinks made from whole fruits and/or vegetables. Juicing is common during fasts or detoxification programs because juices are believed to be easily digestible, nutrient-rich, enzyme-rich and supportive of toxin removal. You should always consult a knowlegeble health care professional before doing a cleanse or a detox diet, especially if you have a medical condition. Detox diets are not advised for children or women who are pregnant or nursing. The natural health experts at UC Natural Health and Wellness have been trained in providing advice on purification and cleansing programs. 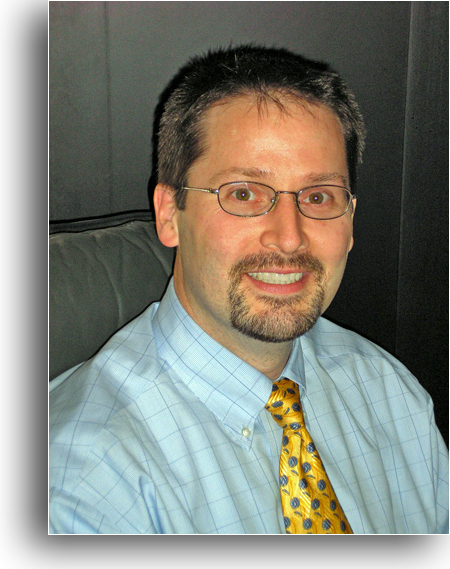 Make an appointment with Dr Bushee and ask him if a purification, cleanse, or weight management program may be right for you?